Nigel Womack comes from a generation of hairdressers in Blackburn, Lancashire, owning his own salon for twenty years. His creative expression knows no bounds. He is also a writer and poet. His entrepreneurial skills and commitment to following his passion have brought him success and respect. A fantastic book – great too as a gift now that the Christmas period is around the corner. A fabulous story which must be read by all !! Brilliant book, the type of writing that has been missing for a long time. Great book , look forward to many more . Good luck with the Book Nigel, love the illustrations. Nigel,It has been a privilege to follow you on this journey. 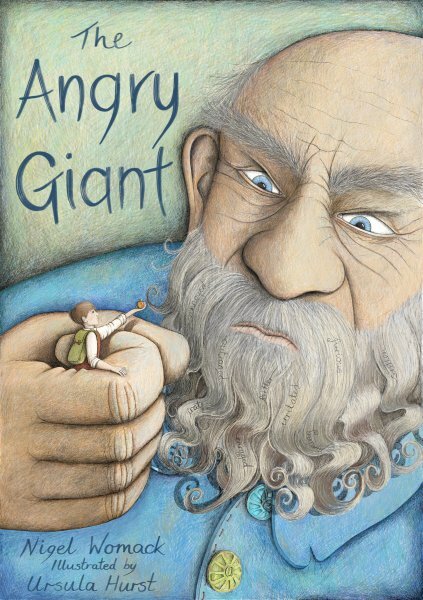 You have a natural talent and,at last, `The Angry Giant` will allow children and adults into this magical world and be a source of inspiration to future generations.Wonderful! such an amazing and inspirational writer, you will go very far nigel!! Very well done Nigel such a amazing author! Carry on I want to read more!!! Not so flippin bad Nigel, a great start and more to come. My brother Nigel has shown me his writing for years, and he is very good. But don’t take my word for it, read the book and know it for yourself. PS he did not pay me for this comment. Any child would be thrilled to have this book. The story is great for grown ups and the illustrations wonderful for children. Love the illustrations and rich use of language. My Granddaughter loved this book! brilliant read! fabulous illustrations! and the book came alive! Well Done Nigel. My eldest grand -daughter loved this book. The book is just fabulous ! A sure hit! Cant wait to see it on TV or as a film.Congratulations Nigel. Best of luck, Nigel. Our three granddaughters loved the story and the wonderful illustrations and can’t wait until the next book is ready to be published. Fantastic story, love the artwork! My mum bought this book and my grandchildren 💖 it. Brilliant book and suitable for all ages. Thoroughly enjoyeable! Fantastic story and certainly grabbed the kid’s attention. The illustrations are amazing in this book. There is so much detail – I notice something new every time I look through! – Ursula Hurst has such an incredible talent.